When the body is too acidic as a result of acid forming foods, high fat, mucus forming foods, and toxic food residues, disease and infections proliferate. This is especially true in cases of arthritis and rheumatic situations. 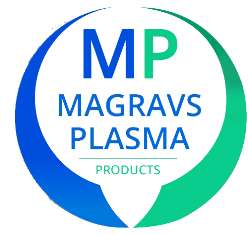 If your body is frequently in an acidic state, you will tend to suffer from fatigue, emotional stress, aches and pains, frequent infections, and have digestive problems and allergies. An alkalizing diet is one in which 65% of our food intake should come from alkaline-based foods like fruits (except for plums and prunes), green-leafy vegetables and other vegetables, and tubers (root vegetables). These foods help to alkalinize the blood and other tissue fluids in our body. The other 35% of our food intake can come from acid-producing foods like cereals, dairy, eggs and meat, though very acid-forming foods such as refined sugars, soft drinks, caffeine and alcohol are best cut out altogether. And we do well to drink plenty of the neutral water. The main goal of an alkalizing diet is balanced eating in order to avoid acidosis. When acidosis occurs, our blood reduces its ability to deliver oxygen to the cells and eliminate carbon dioxide from the body. When we reduce the alkalinity of our blood, it creates symptoms like hunger, heartburn, indigestion, nausea, vomiting, headache and drowsiness. Acidosis is the breeding ground for many disorders, and can interfere with the way our glands and organs function. When blood becomes too acidic, our bodies pull calcium from our bones and teeth to neutralize the acid and this contributes to bone loss or osteoporosis. Also, cancer cells prefer highly acidic environments and do not do well in healthy, alkaline environments. The correct ratio of acid and alkaline forming foods is difficult to difficult to determine for every individual since the balance is altered by chewing, food preparation, individual lifestyle, genetics, exercise, and mental outlook. However, those prone to infections, viruses, excess mucus problems and other toxic acidic conditions need to increase their alkaline diet. 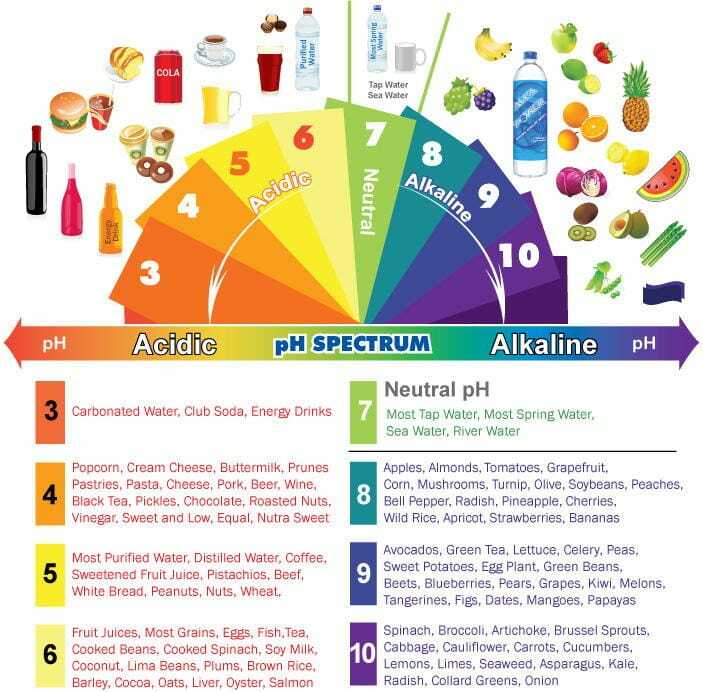 Food pH List - Balancing Acid/Alkaline Foods. In a recent survey, almost 60% of Americans said they were attempting to lose weight, and an additional 23% said they were trying to maintain a healthy weight. The truth is, most of us could benefit from healthier habits — but it’s much easier said than done! Better nutrition starts with one healthy choice at a time — it really is that simple! Wholeness of mind, body and spirit includes a healthy body. As you are no doubt aware, organic foods are body-friendly, while so-called 'conventional' produce often comes with a high toxicity load for your body. Non-organic foods may come with one or more of the following challenges to your body's ability to maintain your health. Genetically-modified foods are currently being tested by the public for side-effects, even though people don't know that they are being used as guinea pigs. Genetic engineering produces higher crop yields and tougher fruits that get damaged less in shipping. Because of the higher profits these modified foods are being supplied for public consumption without as much as a "May we?" being asked of the public. Pesticides are deadly poisons. They are highly toxic to your body as well as to the bugs that they kill. Pesticides also kill the healthy microorganisms in the soil, the ones that enable many nutrients to form in the plants. The latest additive to some foods is radiation from nuclear waste. In order to give these foods longer shelf life, every last living microorganism in the food is zapped dead by nuclear radiation. Yum, yum! The alternative to genetically modified, poisoned and irradiated food is organic food. It is no surprise that the organic foods movement is growing by leaps and bounds. Really! In 2002, keepers at a Copenhagen zoo began offering 10% organic fruits to animals. The chimpanzees surprised the keepers by actively choosing organic bananas over the conventional ones with pesticides. Furthermore, when they had organic bananas to eat, the chimpanzees would eat the skins as well, but they would take the peel off the conventional bananas before eating them! As you can tell, those chimps don't monkey around when it comes to organic bananas! Your food is a source of, not just food and nutrients, but of life energy. Life energy fills the air that you breathe, it is in natural spring water and it is a vital part of the food that you eat. When people's skin looks pale or undernourished, it isn't so much the nutrients that they are missing, as the life energy in their food. Living foods, like raw fruits and mixed green salads, do more for your overall health than any multivitamin pills ever could. Raw, organic foods are filled with vital, life energy. Try adding more raw, organic fruits and mixed salads full of raw, organic vegetables to your diet today. Are you struggling with weight loss? Hypnosis can provide the extra motivation and determination to keep you moving in the direction of your goals, and help you escape the many food traps that can cause weight gain. Self hypnosis for weight loss is the perfect tool for re-educating your unconscious mind - the part that creates cravings and impulses - to give you back real choice in what you eat. You know that a real and permanent change in your weight only comes with a change in lifestyle, not through fad diets that you can't possibly keep up over the long term. The following weight control hypnosis downloads can help you make those changes, and far more quickly and easily than you ever imagined possible. Why is hypnotherapy so much more effective than just dieting alone? Because it lifts you out of a double bind. On the one hand, faddy dieting and unnatural calorie restriction actually causes your body to store fat more effectively, and create cravings for high-calorie, unsatiating foods. In addition, feeling 'deprived' on a daily basis is eventually going to drive you to bingeing and rebellion, no matter how strong your self-control. In short, hunger always wins in the end. Break the patterns and habits of poor or over eating and take control of your hunger and weight. Taking a psychological approach with hypnosis deals with the hidden patterns behind poor eating and over-eating at the same level as they occur - deep in your unconscious mind. That's why it's so much more effective. Taking control back and giving your body the foods it needs will make maintaining a healthy weight natural and easy. Save 42% with the 10 download Weight Loss Hypnosis Pack, containing the 10 most needed solutions to weight loss problems.